Keeping things cool during the summer is a formidable challenge in Phoenix. When the temperatures regularly hit the triple digits, it takes a significant amount of energy to stay comfortable. As we’ve serviced HVAC systems around Phoenix, we’ve noticed that people don’t always understand the best ways to stay cool and save money at the same time. In fact, there are lots of myths around cooling that prevent people from making good decisions. We’ve been in this business for years, so we’ve learned a few things that we want to share with you in today’s blog. Don’t Be Fooled by These Home Cooling Myths! 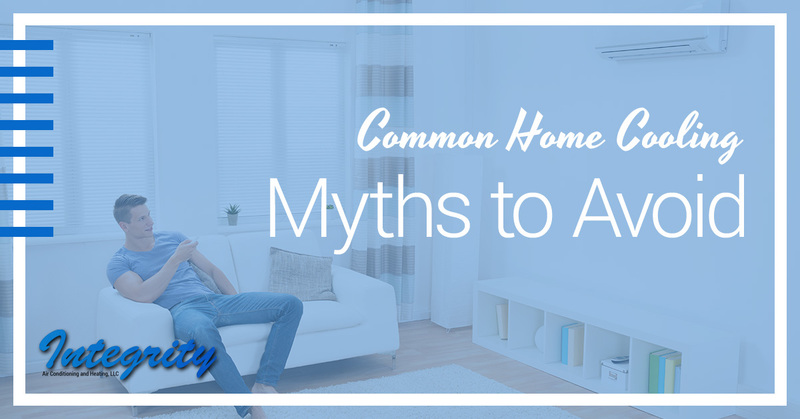 MYTH: All air conditioners do is cool the air. Because humid air generally makes people uncomfortable and has to be cooled further to be effective, air conditioners dry out the air in order to save energy. If your unit doesn’t have a dehumidifying setting, you can get an external dehumidifier that will do the same thing. It will save you money and make your air conditioner more effective. MYTH: Leaving it on all day is more efficient than turning it on and off. While it takes your HVAC system some time and energy to get ramped up after it’s been shut down, it’s still better to let it rest while you’re gone. If you don’t have a programmable thermostat, we highly advise you invest in one. It will allow you to change the temperature of your house while you’re gone, and you’ll see drastic savings on energy bills. Your air conditioner doesn’t have to work extra hard to cool your home down when it’s been turned off for the day. Instead, you end up spending a lot of money on keeping the air cool while you’re gone, and that’s a big waste. MYTH: The bigger the air conditioner, the better the results. If you feel like your air conditioner is straining to keep your home cool, it can be tempting to head out and grab a bigger unit. However, we suggest you get your unit checked to ensure there isn’t something else going on. It may be something as simple as clogged air filters or leaky windows. We can look your unit over to confirm it isn’t experiencing major issues, and then you can make a better-informed decision about how to handle your situation. MYTH: You can crank the thermostat down to make the cooling happen faster. While window units have different settings and can run faster or slower, big A/C units run at a consistent pace no matter where you put the thermostat. If you turn the temperature way down, the only difference between putting it at a more reasonable temperature is that your A/C unit will keep running past the point of comfort, possibly costing you a lot of money in energy costs. Integrity is proud to be Phoenix’s elite HVAC service company. Contact us today to learn more!